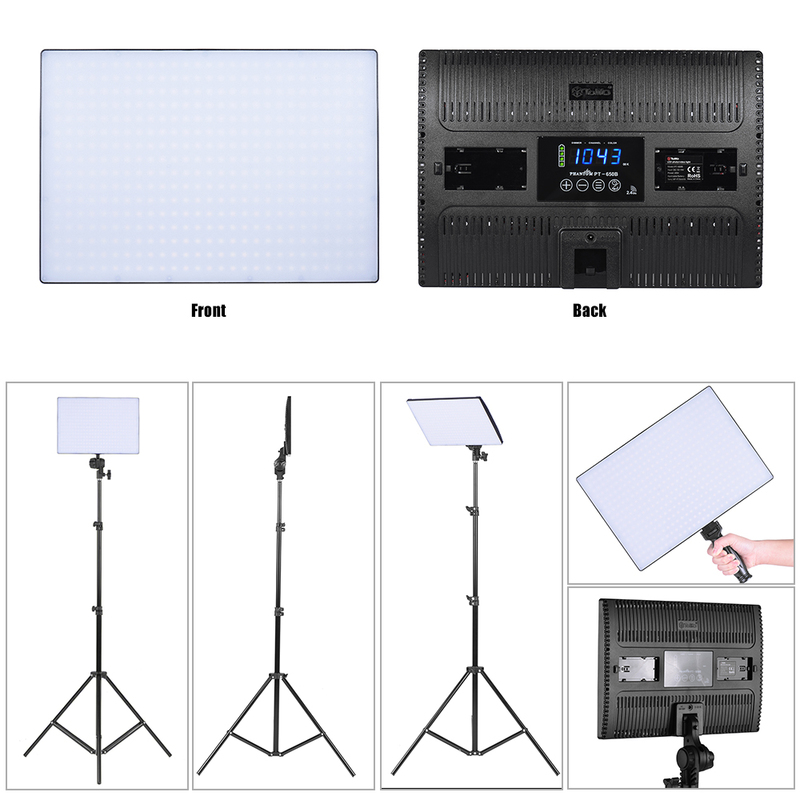 This LED video light provides up to 4500LM illumination for studio and photography. 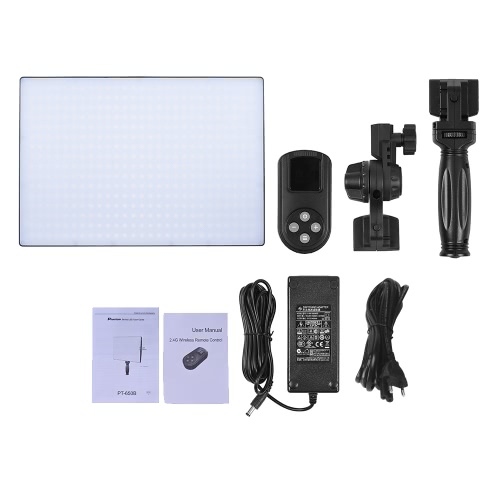 LGP creates soft and comfortable light, which is great for figure shooting. Color temperature ranges from 3200K to 5600K. Comers with a 2.4G remote control. 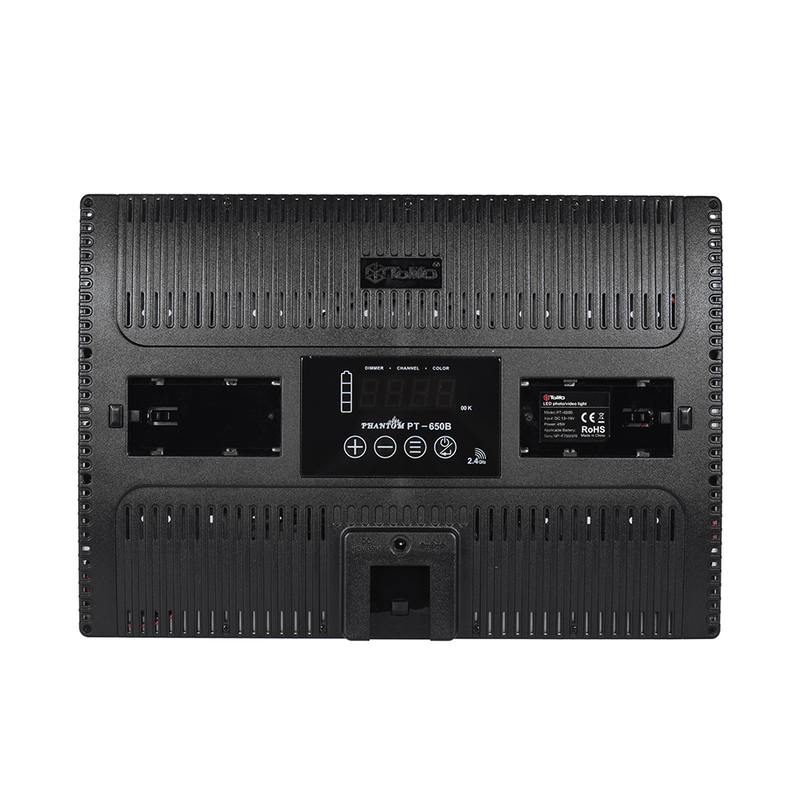 Touch the LCD screen or use the remote control, you can adjust color temperature, brightness and channel. 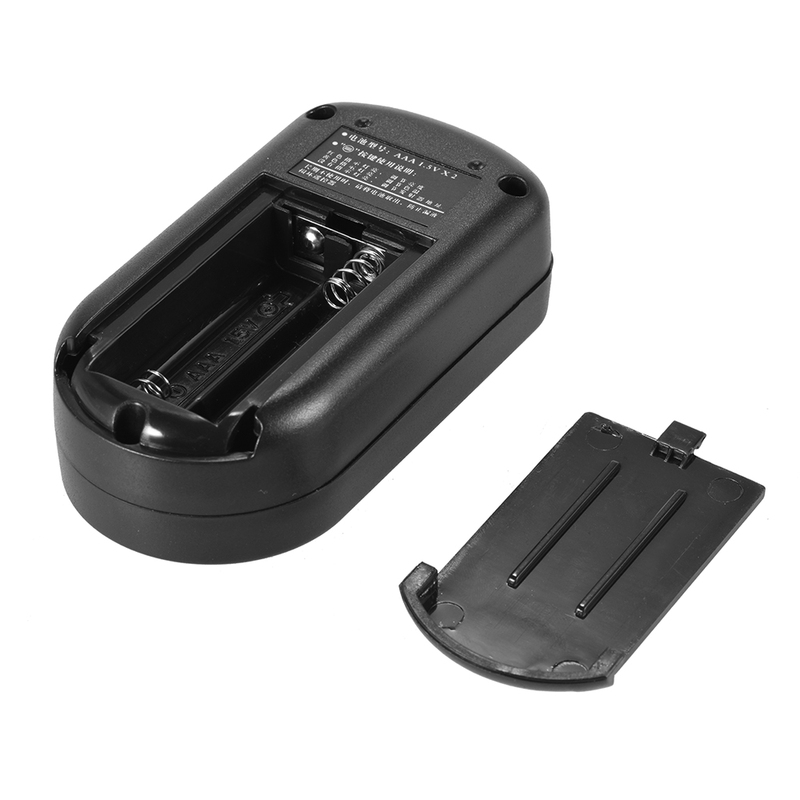 You can also use it indoors or outdoors, holding it by hand or fixing it on support stand. Slim and lightweight, extremely portable for you to carry around. 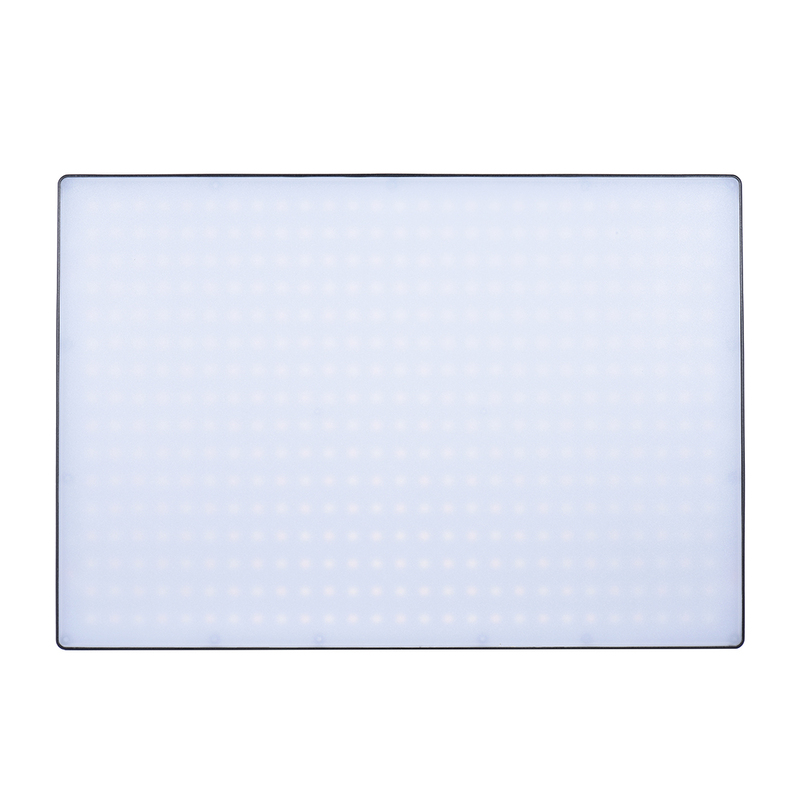 432pcs SMD high power LED beads, provide max.4500LM illumination, brightness range from 10% to 100%. 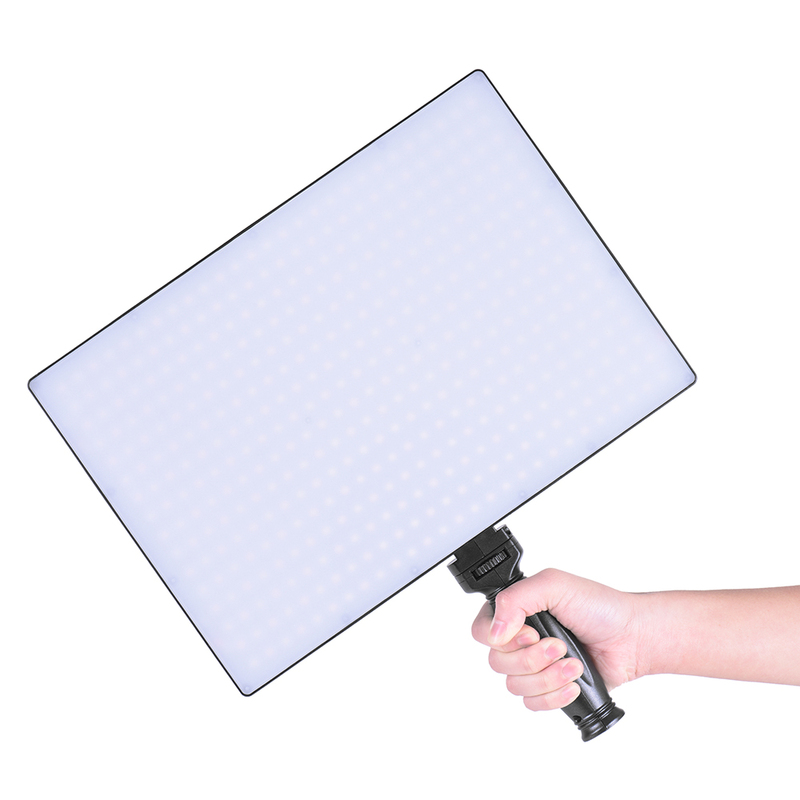 High quality light guide plate(LGP), create soft and comfortable light for figure shooting. Color temperature ranges from 3200K ~ 5600K, CRI 95+, offer an optimal lighting effect. Touch LCD screen to adjust brightness, color temperature and channel. With wide range of louver, realize quick heat dissipation. Comes with handle and 360 degree adjustable stand mounting base. Silm and lightweight, portable for you to carry and store. Equipment are for reference only.